Professional Organiser and Personal Concierge Service Imagine you had the life portrayed in the glossy magazines, a home with everything in its place, the freedom and time that allows you to spend time with your family and friends – how would that make you feel? Finer Details Concierge and Organiser Service are the transformers of clutter, in lives, homes and offices. We are able to help you become and stay organised and take over your To Do List, so you can start to have the life you work so hard for. For a life more organised contact Perth’s longest running Concierge and Organiser service. As experienced organisers, declutter experts and lifestyle managers, we can help in a number of areas in your life. We provide you with the skills and knowledge you require, to speed up the building process. We assist you in gaining a clear understanding of pricing structures, building terms and processes and help you to achieve a premium quality build at Perth’s best value prices. We can also assist you with qualified advice on everything including designing and drafting your plans, block choice, planning applications and building approvals. We are a family owned and operated Property Maintenance & Handyman business. Servicing both Domestic and Commercial Propertys. Current police clearances, Working with children and fully insured. I promise to do everything i can to ensure you are happy with the end result of our work. I am not a casual DIY project person. I have years of experience in different construction industry jobs from Bricklaying, Tiling, Plastering, Painting, Carpentry, Paving and Cabinet making. Please call us now to assist you on your project today. We provide don't charge for Qoutes and no call out fees ever. A Houspect building inspection lets you complete your house purchase with total confidence. Whether you're building a new home, buying an existing property, renovating or investing, a Houspect building inspection gives you the knowledge to get the best result on your real estate investment. 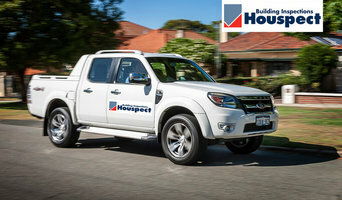 Houspect has been established since 1983 and is the leader in the Western Australian Building Inspection Industry. We are also members of the Master Builders Association, the Australian Institute of Building Surveyors, MIAA and the Experts Witness Program. Houspect is a professional and well respected company within the housing industry. We been advising consumers and builders for many years, and have conducted thousands of inspections since inception. Houspect inspectors are well experienced in conducting inspections of new building works at critical stages. We arrange site visits on behalf of the owner at slab down, plate height, roof on and practical completion. We ensure the house is built according to the specifications and approved plans, and also meets Australian Standards and the Building Code of Australia. Houspect inspectors are registered builders and are located in all areas of metropolitan Perth, Rockingham, Mandurah, Bunbury, Busselton, Margaret River, Albany, Geraldton, Karratha,Kalgoorlie and Broome. Houspect provides professional advice not only to consumers within the housing industry, but also to Real Estate Agents, Strata Managers, Settlement Agents and Solicitors. Houspect has worked with the Real Estate Institute of WA Documents Committee to revise the standard contract conditions relating to building inspections. Houspect advertises a service which offers 24 hours to site inspection from confirmation of request, with the full written report being available the next working day. AMAC Shower Screens & Robes is a family run Perth business. AMAC Shower screens & Robes services the Perth Metropolitan area to residential homes, builders, real estate agents, hotels and motels. We provide a hassle free service and quality products as well as free measure and quote which can be arranged after hours, if needed. THE BEST SHOWER SCREENS FOR PERTH HOMES The shower is a place to relax. A place to freshen up, get ready for the day or wind down for the night, a place to indulge and escape the everyday grind for a few moments. At AMAC Showerscreens & Robes, we understand the need for a bathroom that is designed exactly to your specifications, which is why we offer four different shower screen options for our Perth WA clients. SHOWER SCREENS INSTALLATIONS IN PERTH The advancement of technology has beckoned in a number of innovative solutions for showers, creating a smart, practical and beautiful addition to your bathroom. Our range of shower screens include: Frameds hower screens traditional, practical, easy to use. Framed shower screens remain a firm favourite for many homeowners. Semi-framed and semi-framless Shower screens – the perfect compromise. Get the sleek, clean look of a frameless shower, while also benefitting from the strength and look of a framed piece. Sliding shower screen – the ultimate in innovation, achieve a clean, modern look with a sliding shower screen and get the best indulgent experience. MIRRORS Our framed or frameless mirrors provide a finishing touch to any room in the house. Installation can be expected within 10 working days from the date of ordering with installation available 6 days of the week. STYLISH & MODERN SLIDING WARDROBE DOORS Our made-to-measure sliding wardrobe doors can be installed in a gloss, matt, mirror or powder coating finish in the colour of your choice. 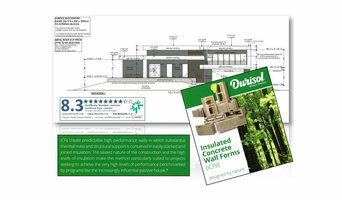 Workmanship is guaranteed for five years from the date of installation. Cockburn Glass has over 20 years of experience in the glass replacement and glazing industry, making us a reliable source for professional services from glass replacement and installation to interior design consulting. Our factory and showroom staff are hired and trained for their ability to stay friendly and informative when dealing with every client and attending to their needs. We hope to reflect as much concern in our time with you as we do in every single product we create. At A Splash of Glass we take pride in providing a reliable and competative service.Working with Perths leading building and kitchen design companies, whether its commercial or residential, new build or renovation give us a call for a free quotation. 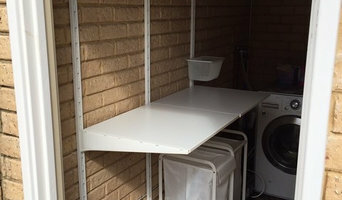 We cover all areas from Two Rocks to Coogee.With over 25 years experience in the construction industry from a glass splashback to a full house fit out, including sliding robes, shower screens, mirrors and glass repairs, we have the knowledge to give the advice you may need to assist you in making the right choice. VELUX skylights are more than just a skylight. They add value to your home, create a feature in any room, provide natural light reducing the need for artificial lighting during the day and are a great source of ventilation with opening models. Why choose Clearview Skylights? Because VELUX is all we do. With 20 years experience installing VELUX Skylights, we know everything there is to know about VELUX! Federation Stained Glass and Leadlights. Specialists in Stained Glass and Leadlights. Pet Friends is a team of dedicated animal lovers caring for the pets of Perth since 1995. We will come to your home to cuddle, play with, walk, clean up after and feed your pets while you are away. We can also tend to your gardens, mail and bins. Many happy pooches are walked daily across the suburbs by our energetic dog walkers. We can tailor a one on one walk specifically to suit your canine companion/s. Home boarding is also available for a wide range of smaller pets, including rodents, birds, reptiles and fish. Police cleared, insured and testimonials and references happily supplied. We look forward to welcoming you and your pet s to the Pet Friends family. Momo Visual provides customised signage solutions for the visual communication of your brand and business identity. 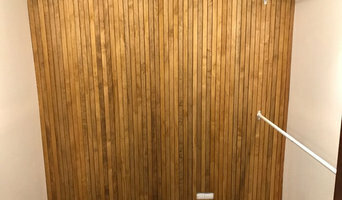 We achieve this through the supply and install of premium finish internal and external signage, digital prints and computer cut vinyl graphics and privacy films. We have a strong team of in-house signage production and installation specialists managing quality control from inception to installation. We also boast a highly accommodating account management team that is experienced with working parallel to designers, architects, project managers and onsite trades to get the job done. If you come to us without a specific design, we can also assist in referring you to one of our design partners in order to gain the best possible outcome for your finished workspace environment. With a combined 35+ years experience in the sign making industry, the Momo team is well equipped to help with any visual aspect of your business rebrand, startup or re-location. Our team is fully trained and kept up to date on the many signage standards in place, as well as maintaining the required permits and safety credentials for site works. When choosing Momo Visual, you can be confident that we will be on-site, on-time and on budget. We Custom measure, supply and install all types of glass and mirrors. Established in 1973, Peters Glazing Service is a Western Australian owned and operated company offering the highest standards of customer service, quality products and client satisfaction. Why Dedicated Construction? We deliver exceptional workmanship and value based upon an in-depth knowledge of building techniques, practices, materials and project management. While our years of experience and expertise producing high-end fit outs will always stand us apart, it is our attitude towards every project that makes all the difference. We are genuinely passionate about building and dedicated to what we do. Our own high standards reflect the calibre of projects we are trusted to work upon, such as the esteemed Print Hall and prominent heritage homes. We don’t have a ‘too hard basket’, and believe that shortcutting does nothing but shortchange the client in the long term. Dedicated to the big picture from start to finish The finesse of the finished product is also a reflection of how well a project was managed. We partner closely with you from day one, adopting a specialised project management methodology that monitors and controls every element from commencement to completion. Being accountable and transparent develops lasting, trusting relationships with our clients. Quality: Our incredible eye for detail makes us a natural choice for high-end fit outs Cost: Fair, honest pricing creates repeat business and the greatest value for money in the long term Timing: We work around your deadlines and are flexible to change, making decisions quickly and professionally Communication: Our genuine, transparent communication builds confidence Service: While the word ‘integrity’ gets thrown around a lot, it accurately sums up the approach of our team. As they juggle your demands and the work of home builders, the Perth, Western Australia building project manager often benefits from a construction industry background. This may also assist you when you need to hire additional contractors. Look in the Professionals section of our website under Perth, Western Australia specialty contractors, then select the nearest metro area for a contractor. You can also look through Western Australia photos of completed projects to see how a contractor might approach design challenges.